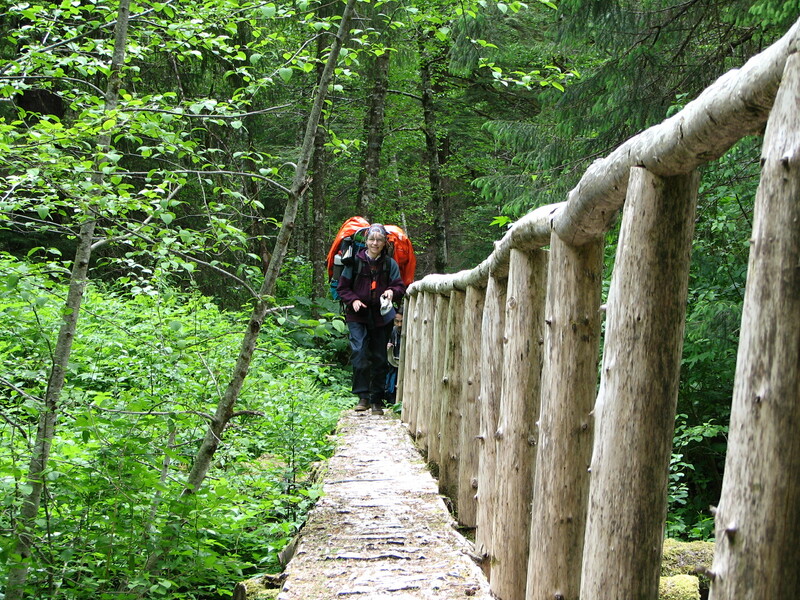 Get your hiking boots and sneakers ready and plan your next trip on Sitka’s trails. 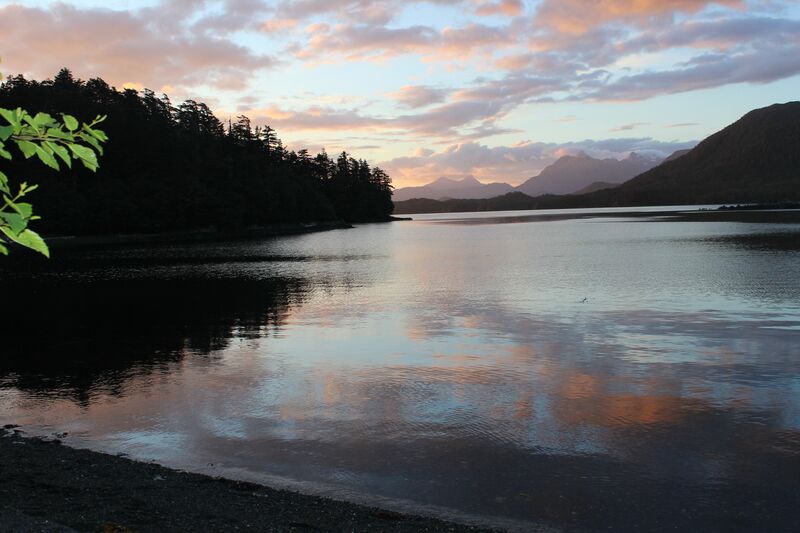 Carin Farley from the National Park Service and Deborah Lyons from Sitka Trail Works will be sharing the latest work on the Sitka trail system.Learn more about the efforts of various agencies, non-profits, and volunteers to create a world class trail system in Sitka. This is a good chance to learn about how you can get involved and help as Sitka continues to work to complete our trail plan. Trans-Boundary Mines: How will they effect Sitka’s fishing industry? 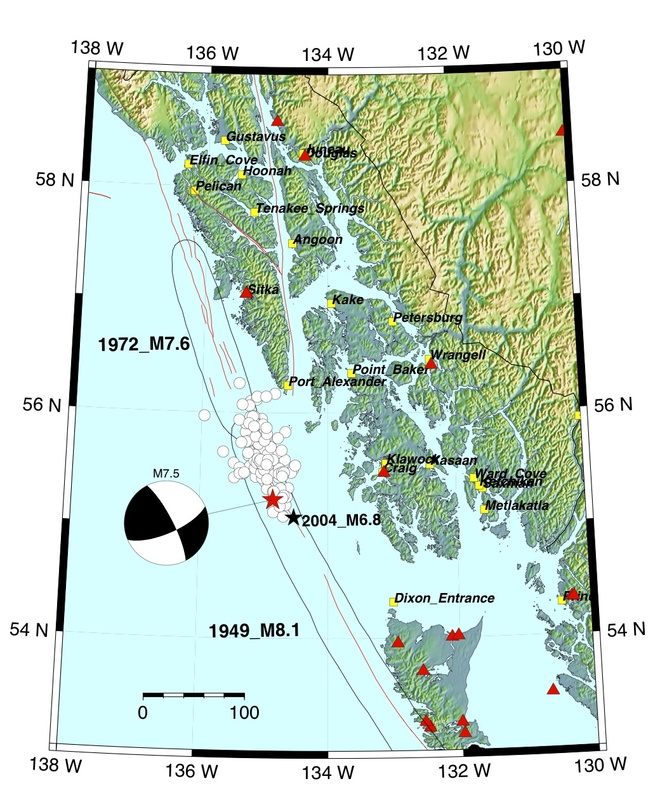 In Northwest British Columbia there are currently 21 projects either active or in the later stages of exploration. 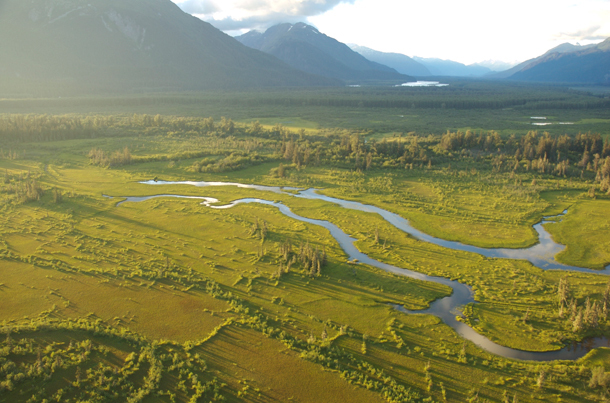 Some of these projects are open pit mines that rival the size of the proposed Pebble Mine. The fisheries on the Stikine, Unuk, and Taku Rivers are threatened. 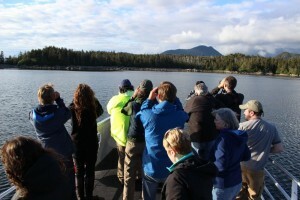 Guy Archibald from Southeast Alaska Conservation Council will talk about the proposed mines and their widespread implications for Southeast Alaska’s fishing industry. Adam Andis from the Sitka Conservation Society leads the Sitka Community Wilderness Stewardship Project. 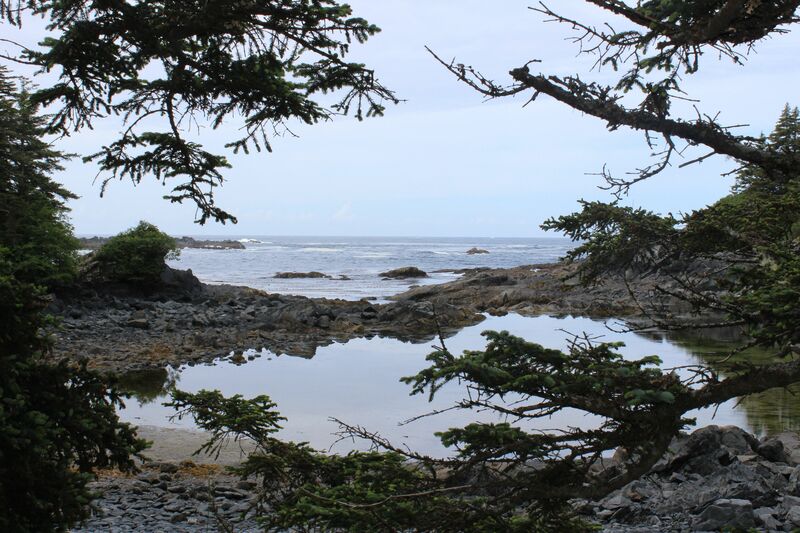 The project seeks to involve the community to monitor on-the-ground conditions in local Wilderness Areas. 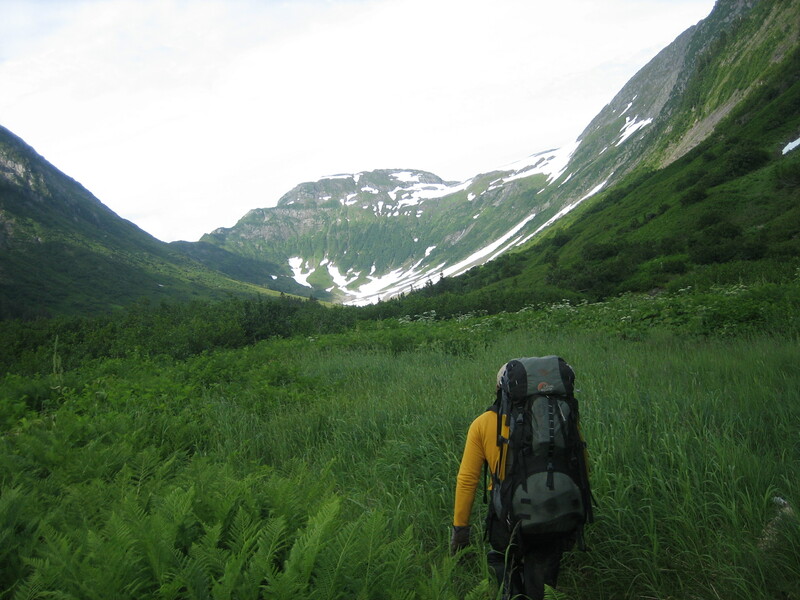 In the summer of 2011, the SCS Wilderness Crew spent countless hours bushwhacking in the field, including pioneering a new route across Baranof Island. The route paralleled the southern boundary of South Baranof Wilderness Area and followed two watersheds from sea to source. 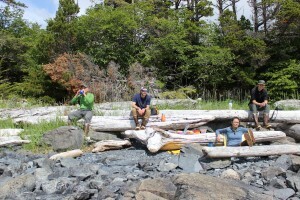 To cover the terrain, the team used packrafts, lightweight backpacking techniques, and lots of chocolate. 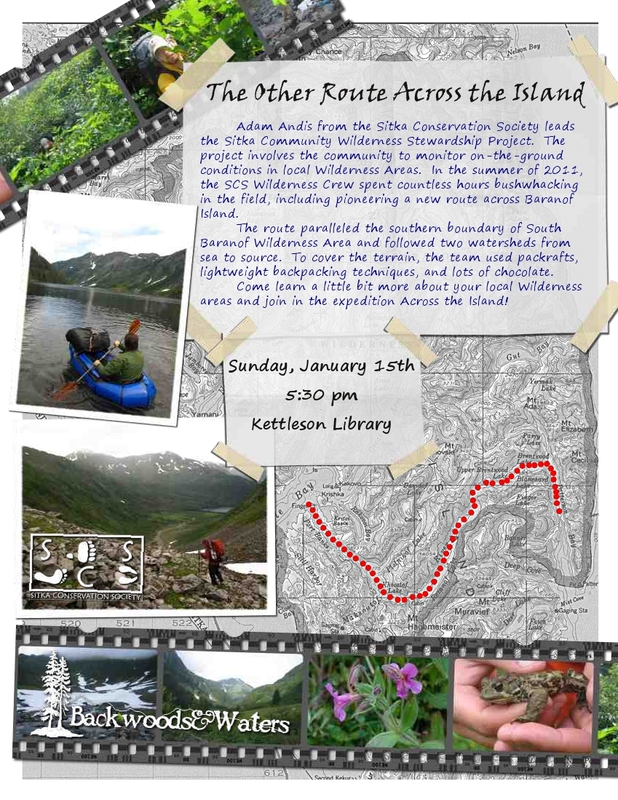 Come learn a little bit more about your local Wilderness areas and join in the expedition Across the Island! Click here to read the full report of the trip.